This shark dive experience on Oahu’s North Shore gives you the opportunity to see these fearsome predators face to face. 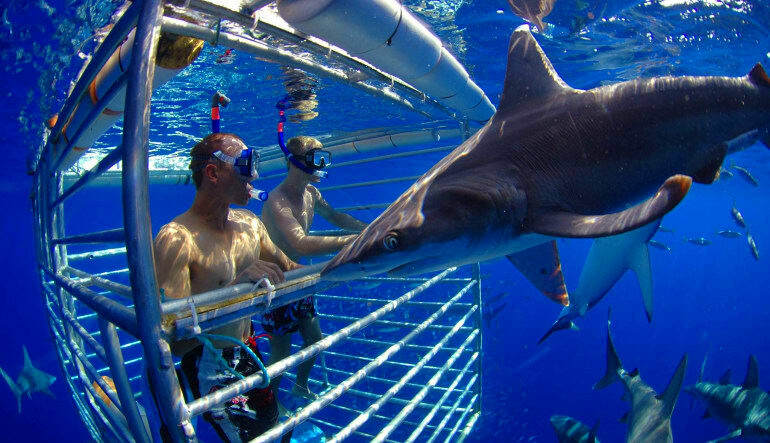 Securely floating in an underwater shark cage, you’ll see these ocean hunters! This shark dive experience on Oahu’s North Shore gives you the opportunity to see these fearsome predators face to face. 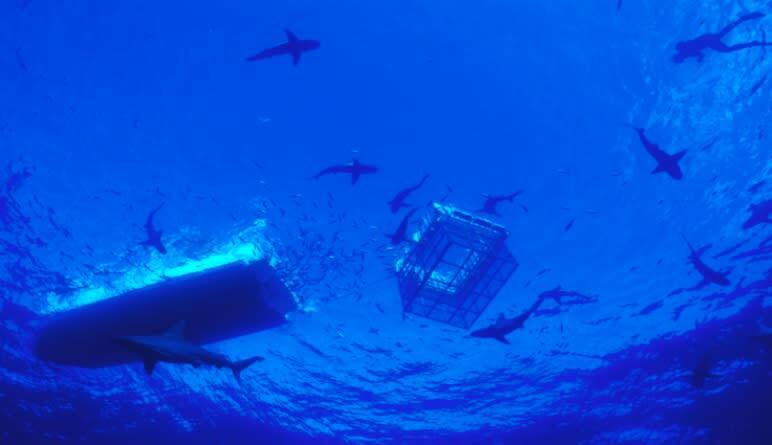 Securely floating in an underwater shark cage, you’ll see these ocean hunters in their natural environment. No scuba experience necessary - safely dive with sharks off Oahu. 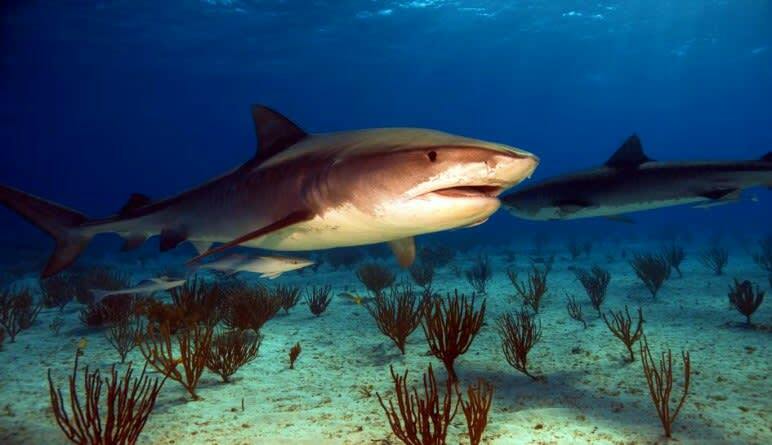 See 10 foot long Galapagos sharks! The open ocean world becomes your playground for a 2 hour experience departing from Haleiwa. Your captain drives you three miles off shore where you will submerge into the water and observe Galapagos and Sandbar sharks. You’ll have front row seats as you enter the cage from above and stay on the surface using a mask and snorkel. Large glass windows let you see into the open ocean without any obstruction and within minutes sharks will swim up to say hi. The water is 600 feet deep and crystal clear so you are practically guaranteed to see a shark. It’s not uncommon for them to swim up and press their noses against the glass! This truly is a life-changing experience. My three children went on this shark seeing excursion..they loved it!! 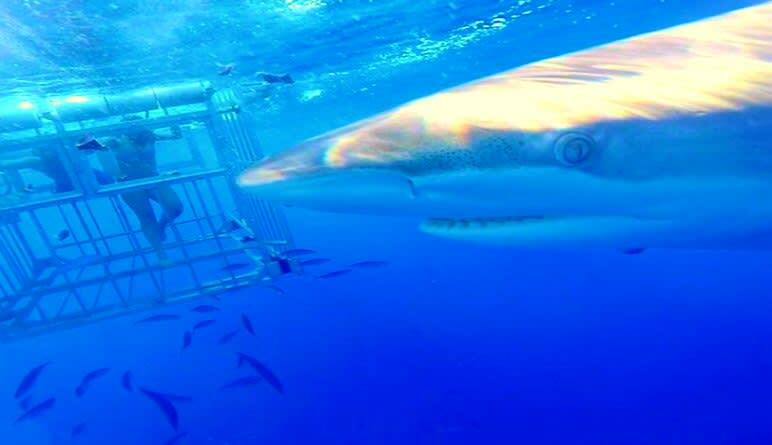 They said the sharks came right up to the cage..was a great experience.. would recommend to others. Our guides were awesome! We'll be joining you guys again on our next visit! Mahalo!